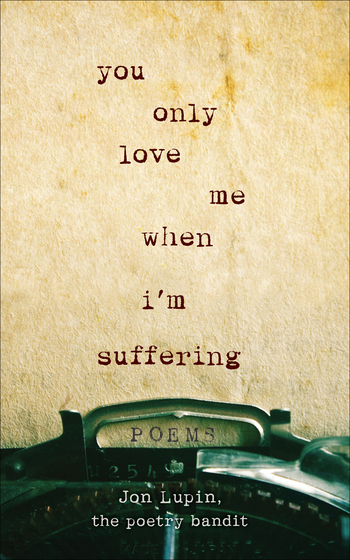 You Only Love Me When I’m Suffering is a naked and powerful poetic portrait of love, heartbreak, and restoration. In this book of 200 poems from noteworthy Instagram poet Jon Lupin—better known as The Poetry Bandit—you’ll find a poetic trellis with heartfelt words and raw emotion coiling in and around its frame. Immerse yourself in the thoughts, musings, and wisdom that more than 100,000 Instagram followers have already found with The Poetry Bandit’s You Only Love Me When I’m Suffering.